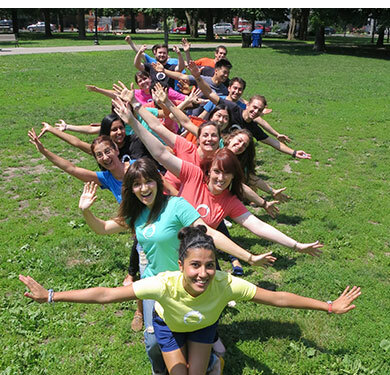 TakingITGlobal's programs serve youth, educators and organizations in their individual and collective efforts to create solutions for the world's greatest challenges. Youth make up an essential part of our local and global community - they are ready, willing and able to make positive change in the world around them and are the inspiration behind the creation of the award-winning www.tigweb.org online community. The TakingITGlobal team seeks to ensure youth have access to information and opportunities that can help them make positive changes within their communities. 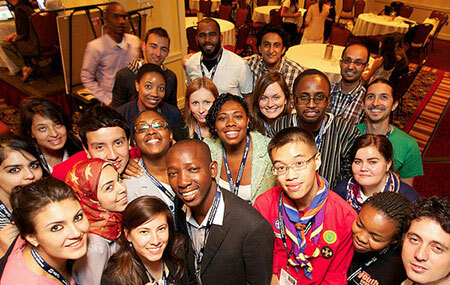 Through youth, we are investing in a better future for all. The definition of "youth" changes based on the organization, context and objectives for classification. Here at TakingITGlobal, we consider youth as those between the ages of 15-30, who show some level of global awareness and are willing to take on a role as a socially responsible leader in his or her community. Educators who want to enhance the learning experience of their students turn to TakingITGlobal to connect their classrooms to global issues and perspectives through the immersive use of technology and project-based learning. We provide accredited professional development, a community of collaborators, learning resources, a secure virtual classroom platform, and Future Friendly Schools certification. An increasingly connected future requires students to understand other people and places. Cultivating global citizenship means helping students to understand their rights and responsibilities in the face of international challenges that know no borders. From climate change to deforestation, the future of the planet rests on students developing a sense of respect and responsibility for the world they will inherit. To cultivate leaders of tomorrow, students must have a voice in their learning today. Valuing and incorporating student voice in classrooms and schools ensures that education is more engaging and relevant to 21st century learners. 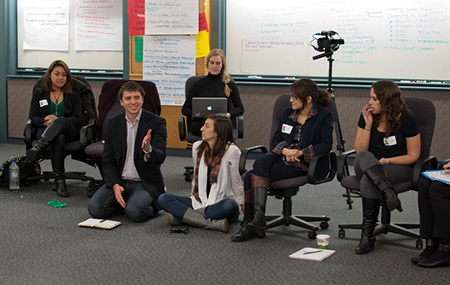 For youth-led and youth-focused organizations, TakingITGlobal offers a wide range of collaborative tools to help connect like-minded organizations to form global socially aware and active youth networks, like www.YouthMovements.org. As a result of their interaction with TakingITGlobal, organizations are reaching greater numbers of youth, facilitating greater access for youth to become involved, and advocating that youth hold key leadership roles in driving social change. To learn more about how organizations are using TakingITGlobal, visit our organizations page. We are extremely thankful to those who have supported TakingITGlobal in inspiring, informing, and involving the world's youth to be a part of positive change within their local and international communities. Together with our supporters, we have been able to bring our mission and values to life through innovative programming.